Yesterday a had a big realization. 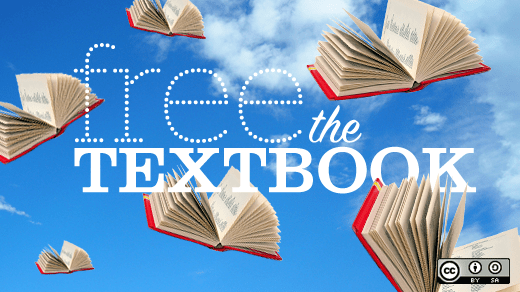 Many textbook publishers continue to publish inaccessible content and those costs are borne by the public education system through alternate format production. Publishers are not responsible for producing accessible material and universities and colleges purchase things that aren’t accessible to all their students and then pay again to make them accessible. In BC I’d estimate that at least $1 million per year is spent on obtaining or producing alternate formats. This is an access issue, a human rights issue, and it’s also an economics issue. Here are some of the conversations and pieces of information that led to this observation. I was sad to miss The Guelph Accessibility Conference at University of Guelph last week. Karen McCall presented Creating an Inclusive Quality Standard of Education (PDF handouts of her slides) where she argues that access to education is a human right. At work I’m more focused on the technical workflows and had forgotten about the human rights issues around access to education. She says that “accommodation is the norm, rather than the exception” and that this keeps people with disabilities “on the periphery of society” (slide 3). She states that “what this does is shift “the ‘cost” of inclusive design and inclusive communities to the corporate sector instead of in primary, secondary and tertiary education” (slide 3). Karen states that in the US $79 billion is spent on ICT (information communication technology) a year, so there is enough purchasing power to demand that things are accessible from the start. She argues that “the best way to ensure inclusive communities is to mandate the procurement of eAccessible only products and services” (slide 6). This would also encourage competition and innovation in the market, which would benefit everyone. Recently I’ve presented a few workshops on universal design for learning (UDL) with Amanda Coolidge and Sue Doner. These workshops build on the personas from the Accessibility Toolkit. The workshop materials are also CC-BY licensed, so feel free to use or adapt them. In this workshop we also compare disability accommodation and UDL. There will always be a need for disability accommodation, but we argue that using the UDL principles can solve many of the common access issues (videos without captions, images that lack descriptions, poor organization of information and concepts). Jennifer LeVecque, from Camosun’s Disability Services Department, pointed out that for print coursepacks from the campus bookstore it’s possible that the publisher gets paid more than once. First, the library might already be paying to license journal articles databases that have those articles. Second, the bookstore (or the copyright office) might be paying the publisher for the rights to produce the coursepack, then passing those costs on to the student. When most academic libraries opted out of Access Copyright tariff in 2012, many worked to change the workflow for producing and licensing coursepacks, encouraging faculty to link directly to the articles that the library had licensed. This is also a UDL best practice as it supports multiple ways of representation and allows students who have print disabilities to access these digital files using whatever assistive technology they use. At the CAPER BC Advisory Committee meeting there were questions about why publishers are producing new e-textbooks that are not accessible. Jewelles Smith, BC Director for NEADS, suggested that it would be useful to collaborate in assessing the accessibility of specific publisher e-textbook platforms, or of common e-textbook titles that are being used. Last month Benetech published their Buy Accessible guidelines, which is a list of specific questions for people who are selecting and purchasing textbooks to ask publishers and vendors. Many for profit textbook publishers continue to publish content that is inaccessible and the public education system spends money to remediate these textbooks to make them accessible. Textbook publishers make a lot of money and have shrugged off their ethical and legal (depending on where you live) responsibilities to students with disabilities and faculty keep choosing to use these textbooks, and bookstores keep buying them. Then Disability Service Offices and organizations like where I work spend a lot of time and money retrofitting. This is not a financially sustainable model. We need to build in language around accessibility into procurement policies at universities and colleges. Where things are not accessible we need to make the cost of retrofit explicit and charge that cost back to the publisher. With digital workflows publishers have the opportunity to make fully accessible digital versions of textbooks available for students to buy. Right now alternate format production is a market externality to publishers, so there is no financial incentive or cost to meeting accessibility guidelines. If we believe that education is a human right for all, then we need procurement policies and laws that reflect this. Posted on June 6, 2016 June 6, 2016 Categories BlogTags a11y, alt formats, capitalism, UDL, universal design for learningLeave a comment on alternate formats: who pays?